Linkin Park members are offering resources to those struggling with the same demons as Chester Bennington. 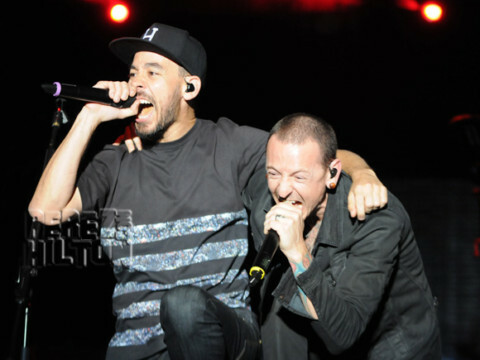 A week after the frontman died by suicide via hanging, bandmate Mike Shinoda thanked fans for respecting the band’s privacy. The performer offered suggestions to fans hoping to celebrate the lead singer’s life in a moving Instagram post, and also provided resources to those who are struggling with suicidal thoughts of their own. It’s good to see Chester’s bandmate reaching out to fans during this time of grief. Read his full post (below). Previous articleJustin Bieber Has No Respect For His Fans! Next articleKathy Griffin Is No Longer Under Investigation For THAT Controversial Donald Trump Photo!